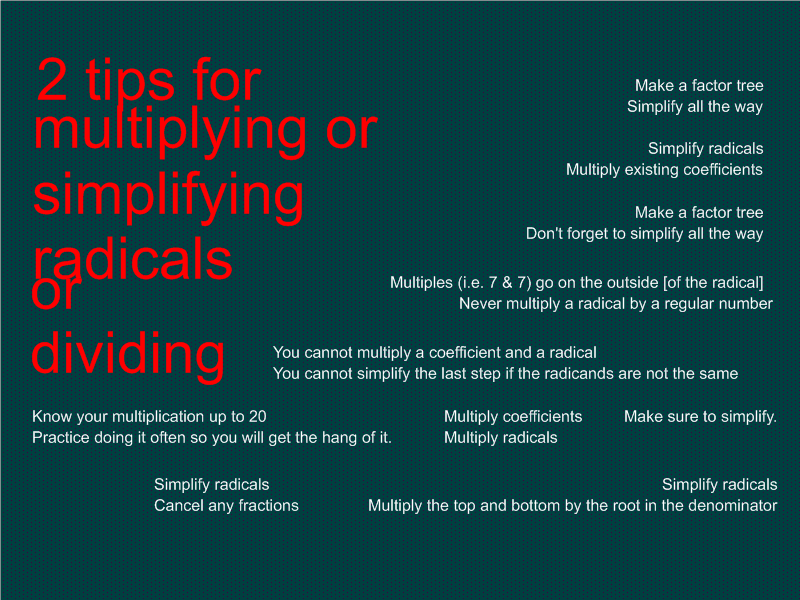 To wrap up the lesson today, I had my students try to process their learning with an exit slip giving two tips for simplifying, multiplying, or dividing radicals. Some of them referred to some notes we had written yesterday, some referred to something I'd said in the last couple days, and some used a kernel they'd picked up during class today that helped it click for them. We had a successful day, I think.